You know that you need to brainstorm, but how do you actually do this effectively? Most instructors and even textbooks skip explaining this step because brainstorming is just generating ideas, and this could seem hard to teach or it might seem intuitive, like you should naturally know how to do it, rendering it unnecessary to teach. However, for students who identify as reluctant writers, brainstorming can be a major obstacle to writing a great essay. After all, without any ideas about what to write about, how can you be expected to write anything at all? Here are some tips to help you brainstorm like a pro every time. Now that you know what brainstorming is-- writing down all the ideas that you have--when exactly should you brainstorm? You want to make sure that you are brainstorming before test day as well as on test day. However, you will use a slightly different strategy at these two points. Well before the test, you should spend a good amount of time coming up with a long list of ideas that you can write about. Think them through and do not censor yourself at this stage. When an idea comes to mind, write it down. You will go back to edit and move things around later. In fact, at this stage you might not be ready to look at specific essay prompts or write down notes in an organized list. In order to get ready for the brainstorm, you might want to add one step first: free writing, a pre-witing process in which you write without stopping for a short period of time. Don't feel pressured to do this under time constraints. All you want to do is simply gather all your ideas about common topics that appear on the exam. The TOEFL likes to ask about the same topics over and over again, so you will want to start by writing down your feelings about these topics. Although each TOEFL writing prompt is a little different, most of them are going to ask about the positive (or negative) aspects of a particular topic, typically education, government, technology, finances, and entertainment. Take 5 minutes and write complete sentences about these topics. These sentences don't have to be formal; they don't even need to use good grammar or vocabulary. The idea is to let your mind take you wherever it wants. You can use this free write to come up with ideas to put down in your brainstorm-- your list of ideas that will later be used to make a formal essay. You are thinking this through now so you can put it into the format of an outline in our next step. Now that you've got your free write complete on each of these main topics, you will want to put those ideas into the form of an outline. At this stage, you are not trying to outline for speed, but instead, you want to outline key ideas that you could later recall when you must outline during a short period of time. To give your outline more structure, I highly recommend you name one personal example to support your opinion and one general example from current events or academia to support your position on the topic. Don't just leave these in your head. Actually write them down using the graphic organizer below, transferring only the best ideas and examples from your free write into your systematic outline. This is your Brainstorm Bank. Keep this list in an area when you can easily see it, and the first few times you are writing an independent essay, feel free to refer to it. Feel free to keep the Bank completely general (just 3 positive and 3 negative aspects of each main topic that occurs on the TOEFL, simply tailoring your examples and ideas when specific questions are posed or write a statement in the area below the topic to have a quick reference for many different specific TOEFL-style prompts). Whether you stick with a more general version of your Brainstorm Bank or decide to make many copies of the template with different statements underneath each topic, you don't have to memorize your list word for word. You do want, however, to be able to remember what is in your Brainstorm Bank quickly. When you are feeling stuck or you are writing under pressure, think back to your bank of ideas and simply withdraw an idea or two. Now that you've spent some time and really considered your feelings about a variety of topics, first in your free write and then as you selected only the best ideas and examples for your Brainstorm Bank, it's time to start practicing the types of brainstorming you will do on test day. Coming up with ideas to feature in your essay is primarily about thinking of examples within the time limit. Instead of considering both sides of an issue on test day, you want to limit yourself to only putting on paper the ideas that you are definitely going to write about. You can (and should) use the ideas from your Brainstorm Bank as inspiration. Remember, the ETS graders do not know that you've already prepared this, so you are not cheating in any way by drawing upon those thoughts. 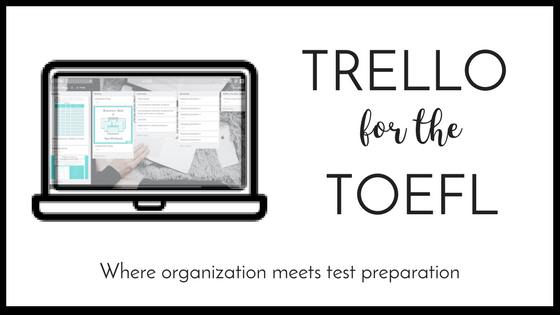 This type of brainstorming should simulate test day conditions, so there are a few key differences from the approach you used earlier to create the Brainstorm Bank. Instead of using common topics in general, use specific essay prompts like the ones you can download here. Furthermore, don't feel like you need more than 3 points, all on the same side, before writing. Spend no more than 2 minutes coming up with your ideas and creating an outline by numbering them in the order you that they most logically fit in. Each time you practice, try to shave off more time. Can you do it in under 90 seconds? Try to take off 5 seconds each time. Next to each brainstorm, record the length of time it took to create it so you can keep track of time management as well as ideas. To recap, step 1 is to free write in order to discover all ideas you have on these frequently occurring independent essay topics. Step 2, use the free write to create your Brainstorm Bank, your list of all the potential ideas that you've got for all the most common topics, done when you have plenty of time to sit and think. Step 3 is to practice the day-of brainstorming techniques, limiting your idea generation time and organizing to under 2 minutes, drawing upon the work you've already done in order to brainstorm in the fastest time possible. Now that you know what brainstorming is (a pre-writing technique where you think of and record all your ideas), when to brainstorm, and how to figure out what to write down, you will be ready to brainstorm the day of the exam. Keep those Brainstorm Banks organized and get inspired regarding what to free write about with the help of the Obsessed with Free Writing & Brainstorming Bank 7 Page Free Printable. Thank you! Click here for your free 7-page Brainstorm Bank and Idea Workbook! Older PostWhat Is the Best TOEFL Prep Book?